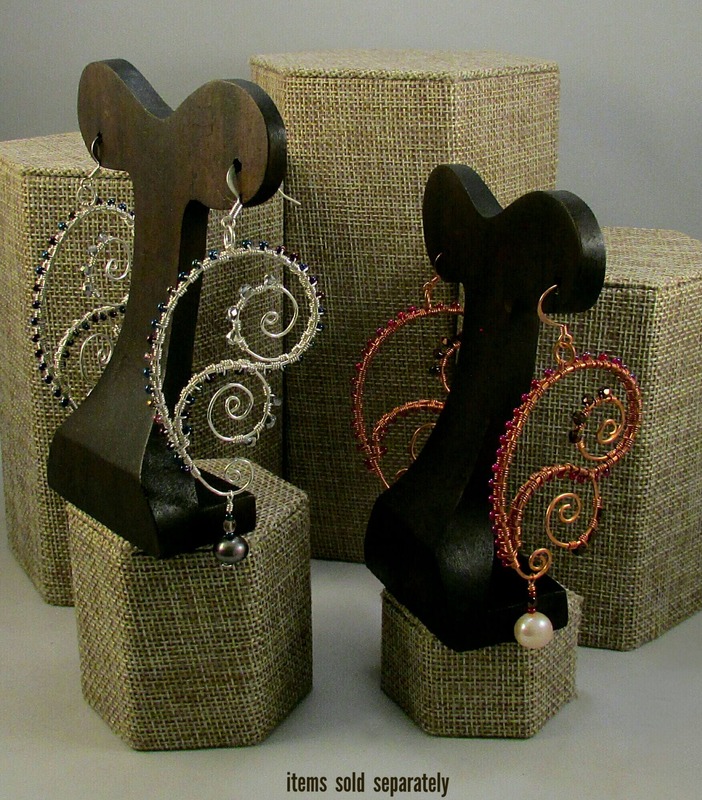 These delicate paisley design earrings are sure to grab attention! 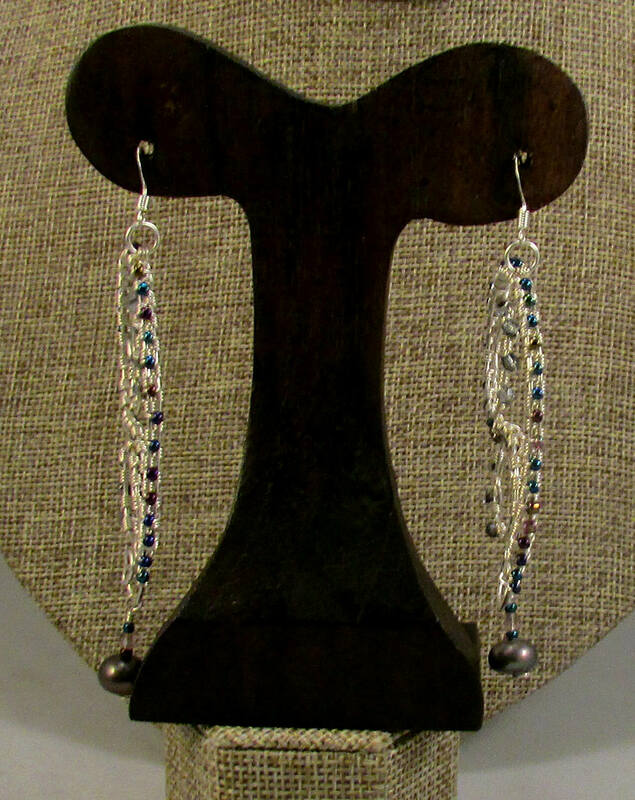 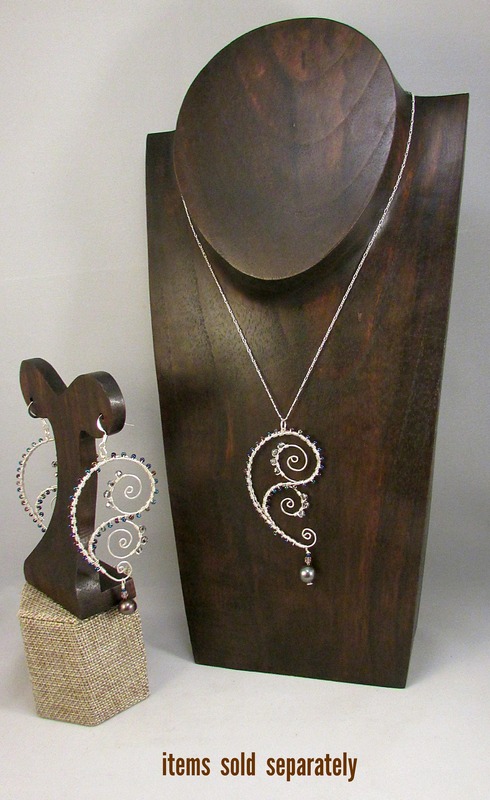 They feature delicately wrapped sterling silver wire incorporating shimmering glass beads and sparkling Chinese crystals, and finish with a stunning black freshwater pearl. 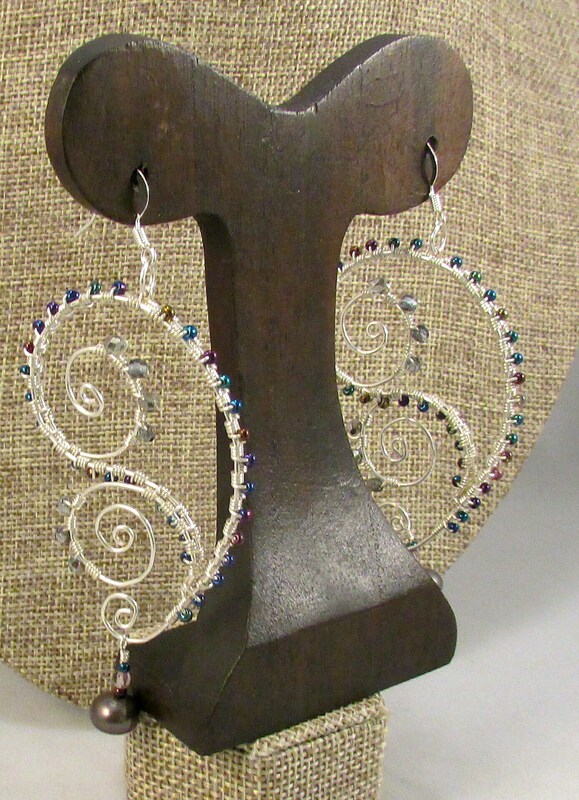 Designed to catch the light as they're worn, these earrings are the perfect icing to any evening outfit. 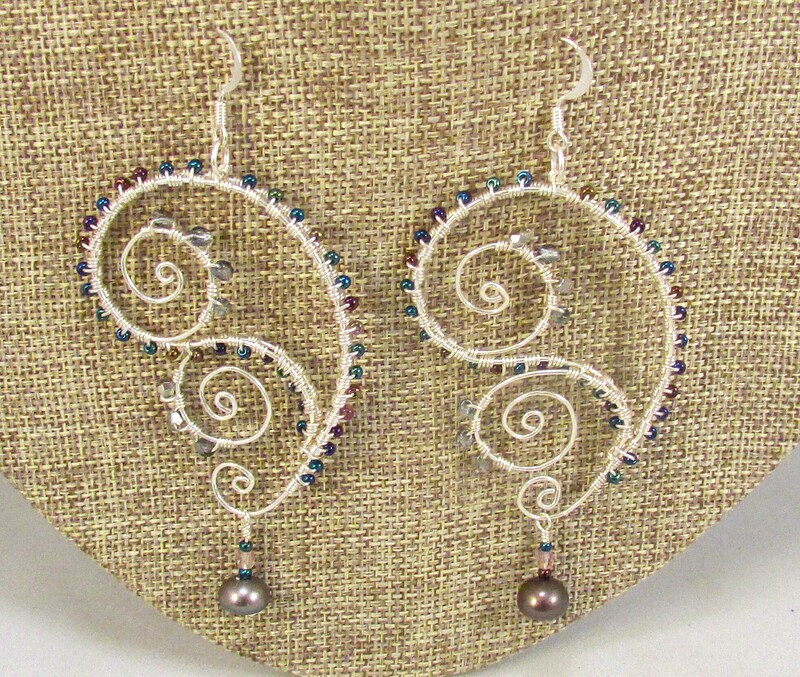 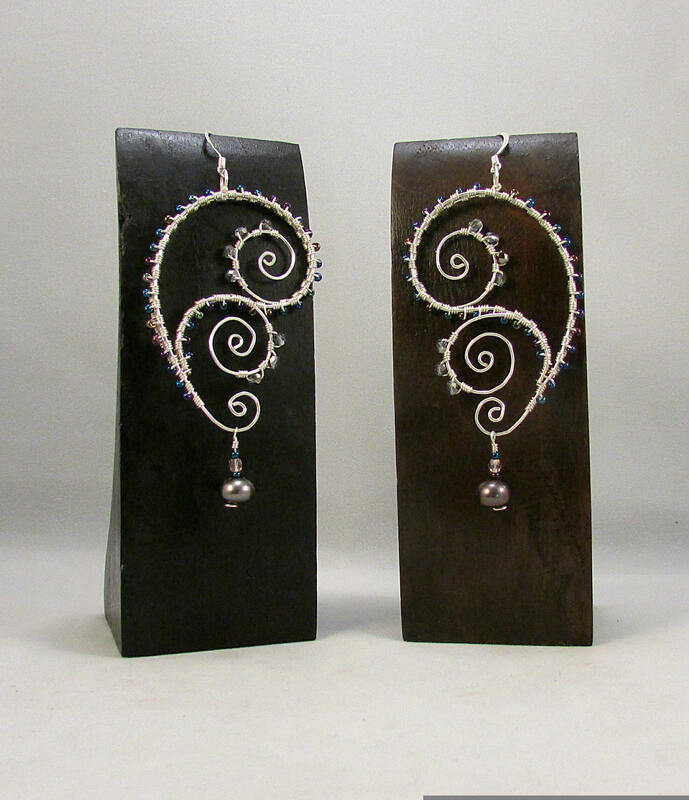 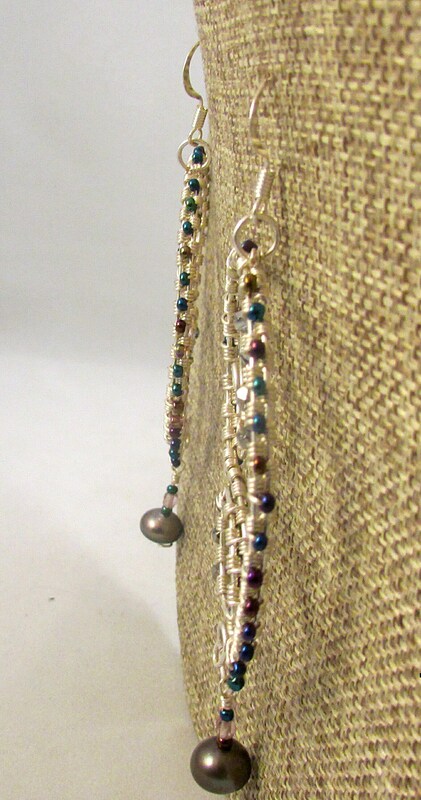 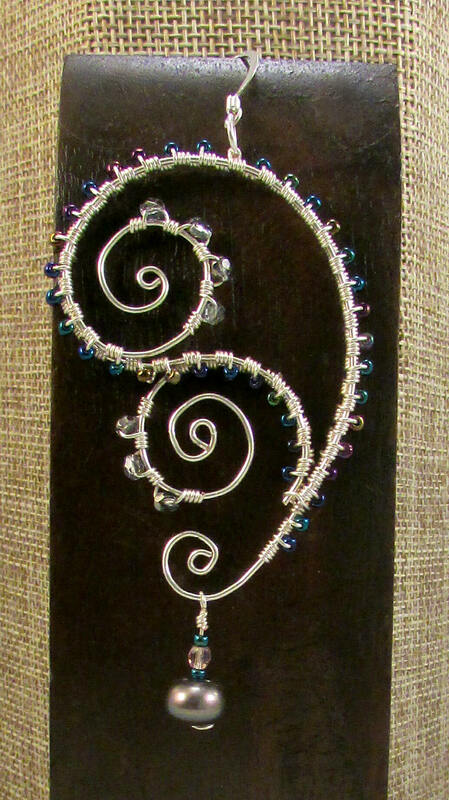 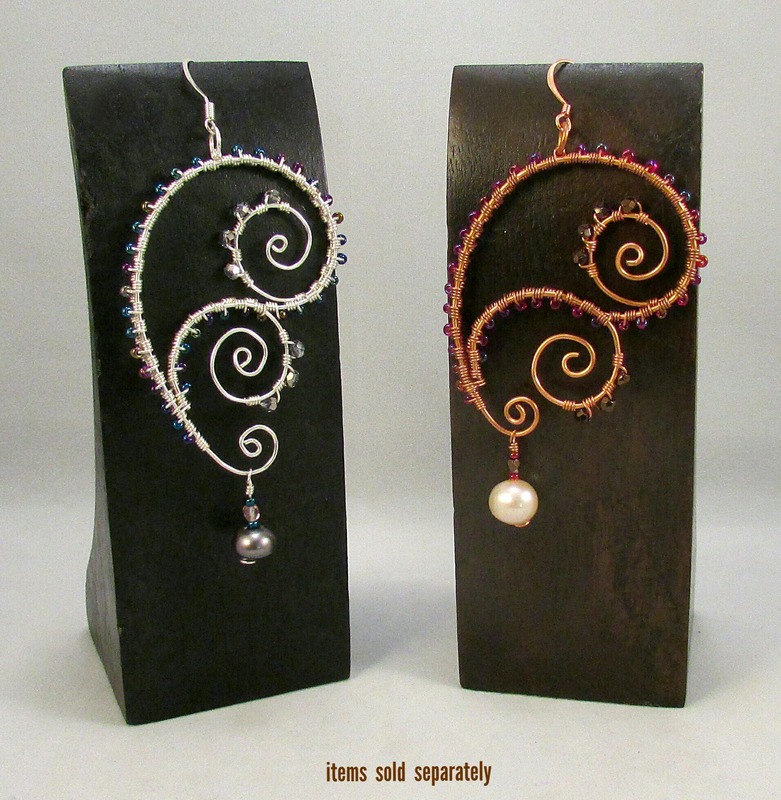 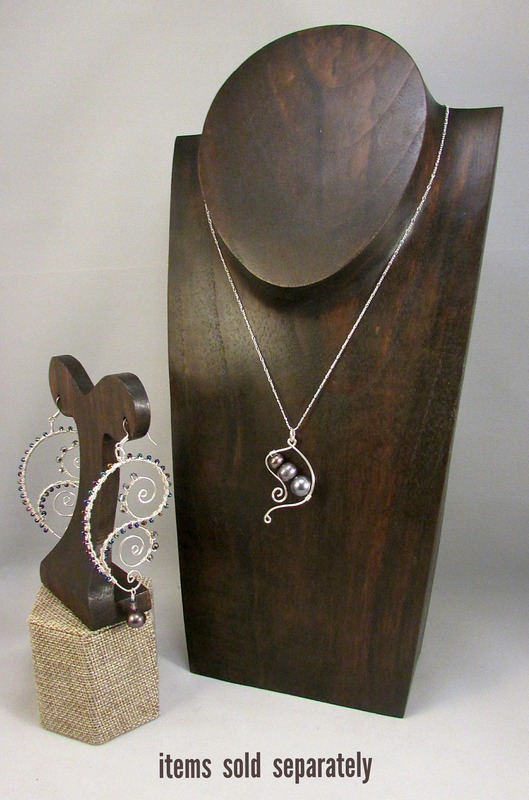 Earrings are hung from a comfortable sterling silver ear wire.